How does "change" happen in your organization? Is it through major innovations? Suggestion? schemes? Or when customer shouts? Is improvement a part of the ongoing way you work? Some types of change inevitably need a major project; meaning months of hard work, big budgets and upheaval. But, often approach to improving systems and processes, is through more subtle, ongoing changes and continuous improvements. 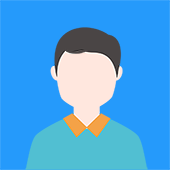 Japanese companies, such as Toyota and Canon, a total of 60 to 70 Kaizens (improvements) per employee per year are written down, shared and implemented. 5 S, Waste or Non Value Added activity reduction, JIT, Kanban, Mistake Proofing, Muda, Mura, Muri are all included within the Kaizen system of running a business. Kaizen comes from the Japanese words "Kai" meaning change and "Zen" meaning for better. Kaizen Reduces Waste in areas such as inventory, waiting times, transportation, worker motion, employee potential, over production, excess process etc. Kaizen Improves space utilization, product quality, use of capital, communications, production capacity and employee retention. Kaizen provides immediate results. 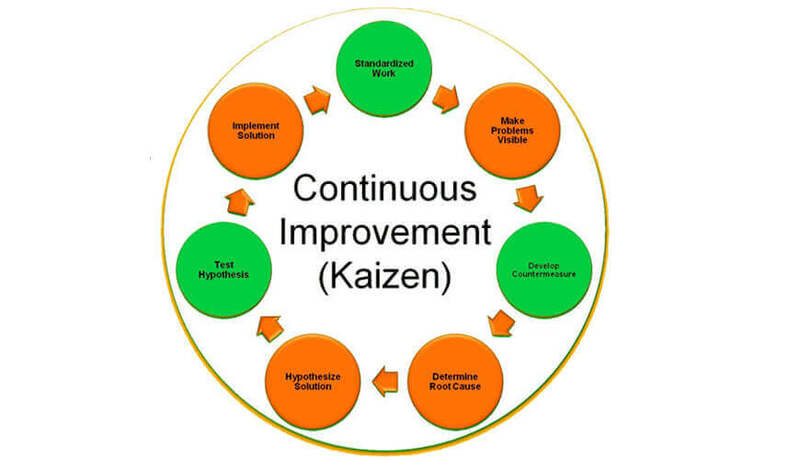 Instead of focusing on large, capital intensive improvements, Kaizen focuses on creative investments that continually solve large numbers of small problems. The real power of Kaizen is in the on-going process of continually making small improvements that improve processes and reduce waste.